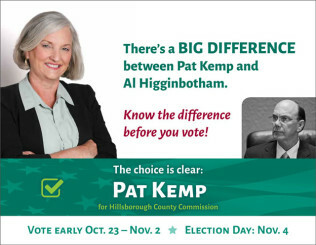 Tampa Bay Sierra Club’s postcard lists endorsements for local and state for races in the Tampa Bay area. 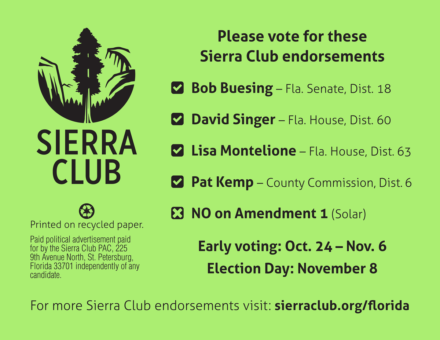 You can find more endorsements for the federal races and other state districts on the Florida Sierra Club’s website. Please vote NO on Amendment One. It’s just a sneaky trick by the utility companies — good for them but bad for solar energy. See Floridians for Solar Choice to learn more. Sierra Club has made no endorsements this year in those races.